Sonix brand Inlay Dual Layer Protection Case for Samsung Galaxy S6 Edge. 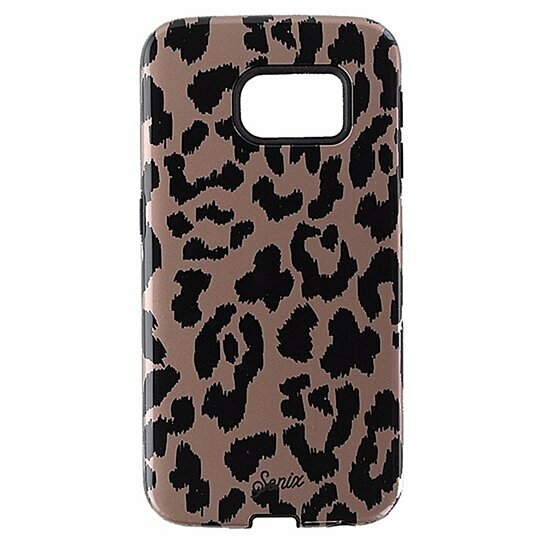 (Calico) Glossy metallic brown shell with Black Cheetah pattern and all black interior layer. Two-Piece Case, hard outer shell, rubber core, shock absorbent and anti-scratch coating.